The body of an adult is 1.3 gallons of blood, composed of cells and plasma. The body does not work without blood. 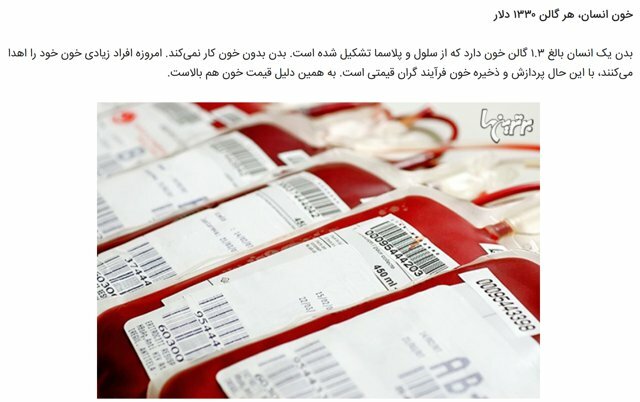 Today, people donate their own blood, however, processing and storing blood is a precious process. That’s why the price of blood is high.